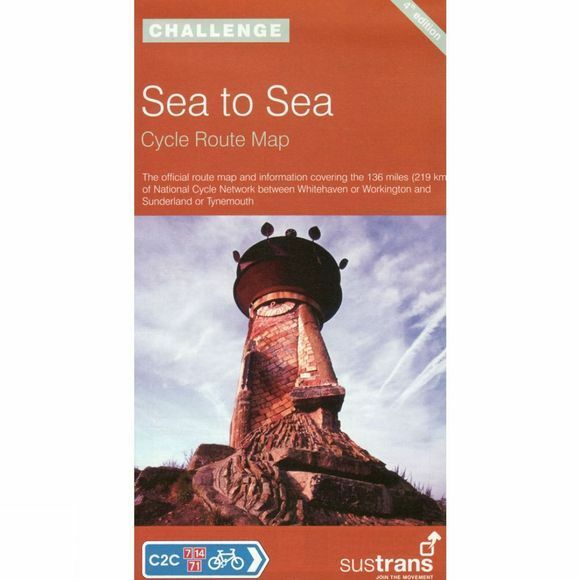 The official route map and information covering the 136 miles (219 kilometres) of National Cycle Network between Whitehaven or Workington and Sunderland or Tynemouth. The UK's most popular 'challenge' cycle route passes through the northern Lake District before climbing the Pennines, 'the roof of England', and then descending to the railway paths of County Durham. It includes Black Hill, the highest point on the National Cycle Network (609m) and the Consett-Sunderland railway path and sculpture trail. Shows cycle routes on traffic-free lanes, quiet lanes and traffic calmed roads. Comes with a splash proof pocket. This is the 4th edition, updated in 2015.